For warmth in icy cold temperatures: the Women's Thorium AR Hoody from Arc'teryx. 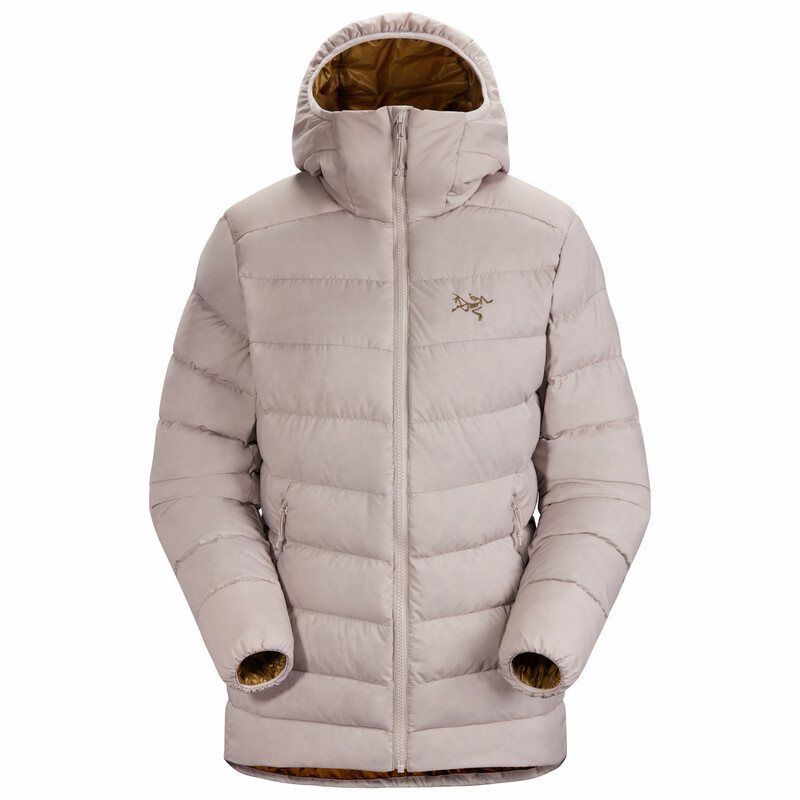 This down jacket is filled with warm European goose down with a fill power of 750 cuin as well as Coreloft synthetic insulation. Using Down Composite Mapping, the different materials are strategically positioned in order to guarantee an optimum balance between warmth and breathability. As for the outer, Arc'teryx has used incredibly durable Arato 30 nylon and treated it with a DWR (Durable Water Repellent) for enhanced weather protection. The DWR finish forces both water droplets and particles of dirt to roll off the face fabric. The Women's Thorium AR Hoody comes equipped with an insulated StormHood, two side pockets and one inside pocket. There's also a stuff sack so that you can transport the Arc'teryx jacket in your pack!